and support system for school improvement. The release of Illinois School Report Card data on October 31 reveals that the percentage of high school students enrolling in college 12 months after graduation has increased to 73 percent of all graduates – up from 69 percent four years ago. In addition to report card numbers, the state released its official designations for every school in Illinois, which officials claim will provide a public benchmark of school progress toward the goal of preparing all students for success in college and career. These designations are based on 10 measures of school performance. According the Illinois State Board of Education (ISBE), the new school designations invite community input, reflection, and engagement in the progress and success of all students. ISBE says schools it designates as Lowest-Performing or Underperforming will receive additional federal funding and participate in a collaborative, school-led improvement process called the IL-EMPOWER school improvement process. of greatest need to help improve schools. The designation for each school is intended to provide transparency for families and communities. The designations are facts, not judgments, state officials say. An Exemplary designation goes to the highest-performing 10 percent of schools. The Lowest-Performing designation identifies the lowest-performing 5 percent of schools. Schools that are otherwise well-performing but have one or more student groups seen as significantly underperforming receive the Underperforming designation, which goes to approximately 15 percent of schools. All other schools will receive the Commendable designation, which goes to 70 percent of schools. 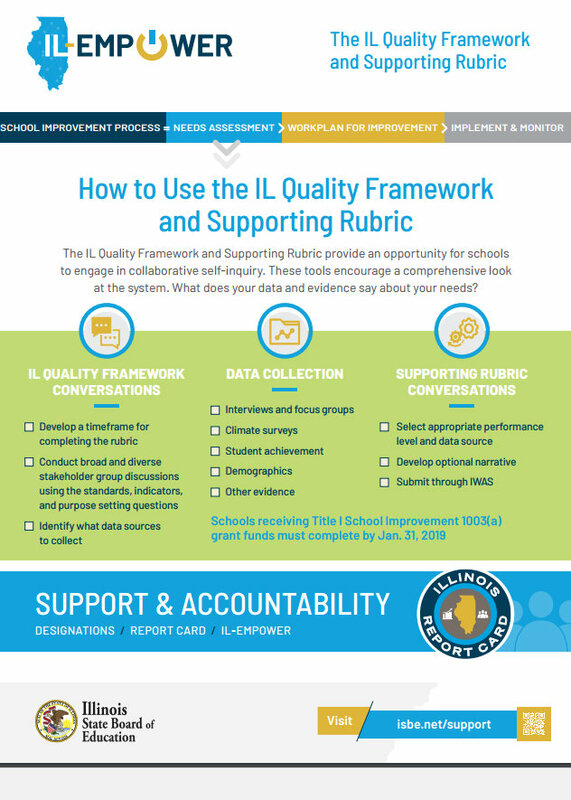 As mentioned, schools with the Underperforming or Lowest-Performing designation are required to participate in the IL-EMPOWER improvement process, which begins with a school-led needs assessment. Besides federal funding, the process includes ISBE school support managers, and the school’s choice of professional learning partners to work with on local improvement needs. 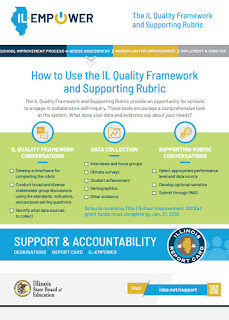 ISBE has prepared a series of infographics on the new support and accountability system, all of which can be viewed at www.isbe.net/support. The 2018 Illinois Report Card also shows each school district’s Evidence-Based Funding amount and state funding gap. The state overhauled its primary funding formula in 2017 to send more state funding to the districts in the greatest financial need. Although no strikes have occurred thus far, teachers have adopted intent-to strike notices in several districts in Illinois this school year. Districts currently faced with such notices are Champaign CUSD 4, and Geneva School District 304. The Champaign Federation of Teachers rejected a contract offer from the Champaign CUSD 4 Board of Education on October 11, and approved an intent-to-strike notice with the Illinois Educational Labor Relations Board. The earliest possible strike would be in early December. The union represents 850 certified teachers. The district’s last teacher contract expired on June 30 and the union requested a federal mediator be assigned to the negotiations on August 24. Geneva Unit District 304 teachers voted on September 31 to authorize their union leaders to call a strike. The earliest a walkout could happen is November 13. Contract talks began on February 15 of this year with the union, which represents 459 teachers and other certified personnel. 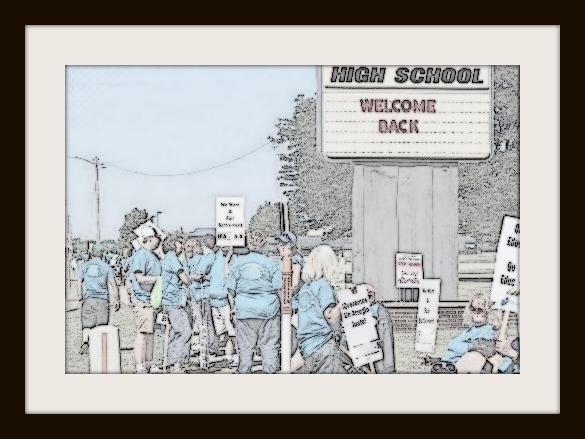 Potential strikes were averted recently in East Aurora School District 131, and Murphysboro CUSD 186, where school boards reached agreement with teachers in early October following intent-to-strike notices. East Aurora SD 131 and its 1,500-member local school employee organization reached a tentative agreement on October 4. A potential strike could have begun as early as October 5. Details of the contract are not yet available. Murphysboro CUSD 186 reached a tentative agreement with teachers on October 9, with the school board voting to approve a contract that includes a modest pay hike and improvements to teacher health coverage. A strike could have begun as early as October 1. The union represents 148 teachers in Murphysboro CUSD 186. More information should be available soon from the Illinois Education Labor Relations Board (IELRB), which collects for public posting education-related final offers. Current IELRB postings can be accessed here. 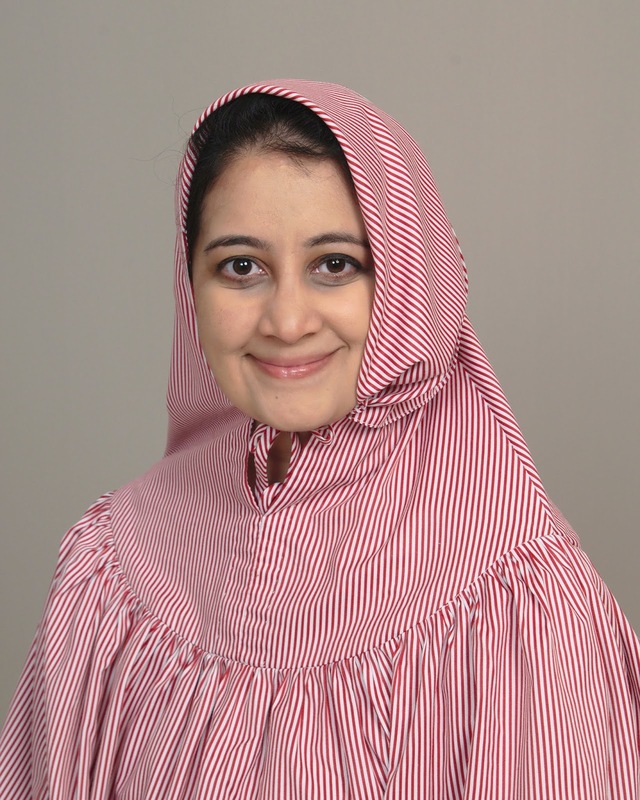 Ummehani Faizullabhoy joined the Office of General Counsel as Administrative Assistant in the Lombard office this month. She began her duties on October 2, 2018. 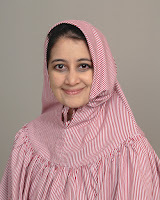 Faizullabhoy holds an approved Paralegal Studies Certificate from Long Island University, New York, and a B.A. degree from the State University of New York at Stony Brook. She previously served as Office Administrative Assistant for MassMutual of Illinois in Downers Grove, and now assists IASB’s Office of General Counsel with numerous functions. 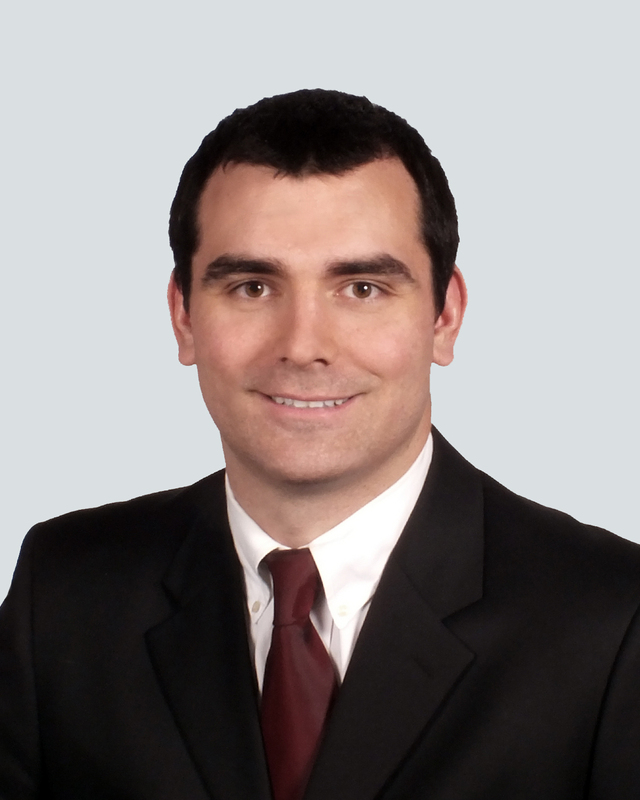 Also joining the Association’s Lombard office, James Wagner recently was added to the Policy Services division of the Office of General Counsel as Administrative Assistant. He began his policy responsibilities on September 4, 2018. Wagner holds a B.A. degree from Knox College and is a Paralegal Certificate Candidate at the College of DuPage. He previously served at the Transamerica Agency Network and Byron Udell and Associates. 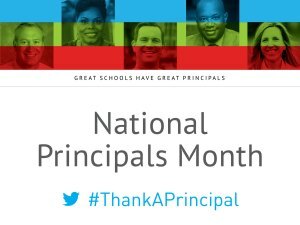 October traditionally serves as National Principals’ Month, but here in Illinois also celebrated is Principals Appreciation Day on October 26. The designations are used to honor the work and commitment of principals throughout the state and nation. State and national proclamations have been created for the honorary dates, as public officials acknowledge the importance of principals to the schools they serve and the education community at large. Recognize principals at a school board meeting. Write a note of encouragement and thanks to principals. Decorate a hallway or office to show your appreciation. Print the principal’s name on souvenirs, such as t-shirts, bags, or coffee mugs say thank you for their work. Use social media to highlight the hard work principals do each and every day, and designate posts with the hashtag #ThankAPrincipal. Sample social media posts, videos, a Principals’ Month graphic, e-cards, and a number of other materials to assist recognition efforts are available here. Numerous local-district school funding referendums are set to appear on the November 6 election ballot, including at least 12 bond issues, and at least three tax increase proposals. Many more school districts would benefit from five countywide sales tax propositions earmarked for school facility purposes. The largest of the known district school finance propositions is a $195 million building bond proposition in Maine Township High School District 207. The proposal calls for modernizing facilities and increasing building security at the district’s two high schools, each of which is more than 50 years old. Apparently the largest tax increase proposal is in Elmhurst, where a $168.5 million tax increase appears on the ballot. The proposal asks voters to endorse the construction of two new school buildings to replace two elementary schools. Two other tax increase proposals in the state seek to raise the limiting rate under the Property Tax Extension Limitation Law (PTELL), hiking taxes by $3.2 million in Glen Ellyn Elementary School District 89, and by $1.3 million in Hawthorne SD 73. In addition to the school district finance propositions, countywide sales tax proposals to benefit schools are scheduled in at least five counties: Jasper, Kendall, Menard, Sangamon, and Tazewell. Since the state law on this topic took effect in January 2008, 51 counties have adopted the retailer occupation and service occupation tax (sales tax) for the benefit of school facilities. Other education-related proposals appearing on the November ballot include no less than four propositions to authorize the at-large election of school board members. Meanwhile another miscellaneous proposal at Paw Paw CUSD 271 asks voters to approve a plan to deactivate Paw Paw High School and send its pupils to Indian Creek CUSD 425. As mentioned, at least four questions on the November ballot would allow for electing all school board members at-large. This means members of the board can live anywhere within the district and a voter can cast his or her ballot for any candidate(s). Districts known to be floating such proposals are: Chester East Lincoln CCSD 61, Lincoln; Oakland Community Unit School District 5; Polo CUSD 222; and Villa Grove CUSD 302. This blog will report on results of all the November 6 referenda. Passing rates of school finance referenda since 1989 are available online. 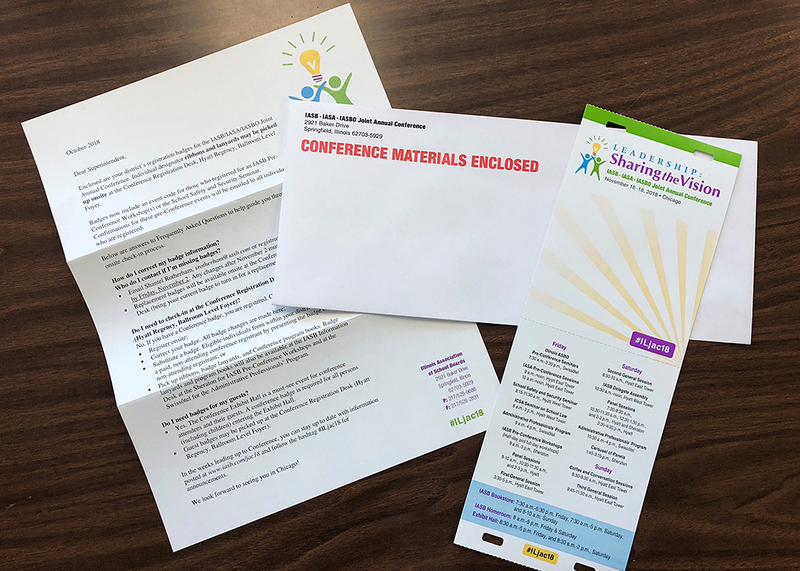 Registrants of the 2018 Joint Annual Conference should receive their Conference badges in the coming days. Badges were mailed to the offices of district superintendents on Monday and Tuesday, October 22 and 23. The mailing should contain badges for all individuals who registered for Conference before October 15. Those attending the Annual Conference just need to bring their badges to Chicago in order to bypass check-in at the main registration desk. Badge lanyards, honorary ribbons, and Conference programs will be available upon arrival near the registration areas in the Hyatt Regency, the Sheraton Grand Chicago, and the Swissôtel. Individuals who have registered for Conference after October 15 will need to visit the registration desk at the Hyatt Regency, East Tower to obtain their badges. This is also where corrections can be made to badges that were already received. In a change from previous years, badges for participants of IASB Pre-Conference Workshops or the School Safety and Security Seminar will include a special code to reflect these training opportunities. Attendees who have signed up for a Pre-Conference Workshop or the Safety and Security Seminar after October 15 will need to check-in at the registration table for the specified event (Sheraton Ballroom Level IV for Pre-Conference Workshops; Regency C in the Hyatt West Tower for the School Safety and Security Seminar). Districts that have not received their badges by November 1, but registered before October 15, should contact Shantel Rotherham, 217/528-9688, ext. 1115. The winners are among 214 educators to be honored at the banquet. Local school district leaders and members of school communities nominate candidates for this recognition. A committee of peers, organized through the Illinois State Board of Education (ISBE), chose the award winners to be honored this year. The committee represents statewide education organizations and includes former award winners. The 214 recipients received recognition on three levels and across multiple categories, including classroom teacher, teams, early career educator, school administrator, school board member, community volunteer, education service personnel, and student support personnel. A complete list of local recipients by county can be accessed on ISBE’s Those Who Excel winners’ list. IASB has long suggested that school boards planning to attend the Joint Annual Conference should be pro-active in documenting their professional development experiences and expenses at the event. One way is to adopt and promulgate a policy that addresses professional development for all school board members. Such a policy may permit and encourage ongoing leadership training for those who have volunteered to serve their community as unpaid school board members. Thus boards may wish to review their existing policies or consider adopting a policy before attending the 2018 Joint Annual Conference, scheduled for November 16-18 in Chicago. featured remarks by IASB Executive Director Tom Bertrand. The 2018 IASA Annual Conference in Springfield brought together 500-plus leaders for education, motivation, and conversation. 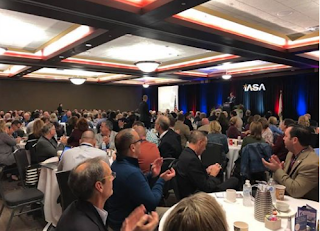 After preconference events that included a Celebrating Women in Leadership event, IASA’s opening keynote speaker, Rick Rigsby, President and CEO of Rick Rigsby Communications, offered insights on leadership and learning. Sheila Harrison-Williams, IASA president, lauded the women in leadership conference, and spoke about her role as president. "Together, we are advocates for all public-school children within the state of Illinois...no matter what race or what gender, what zip code or special needs," Harrison-Williams said. 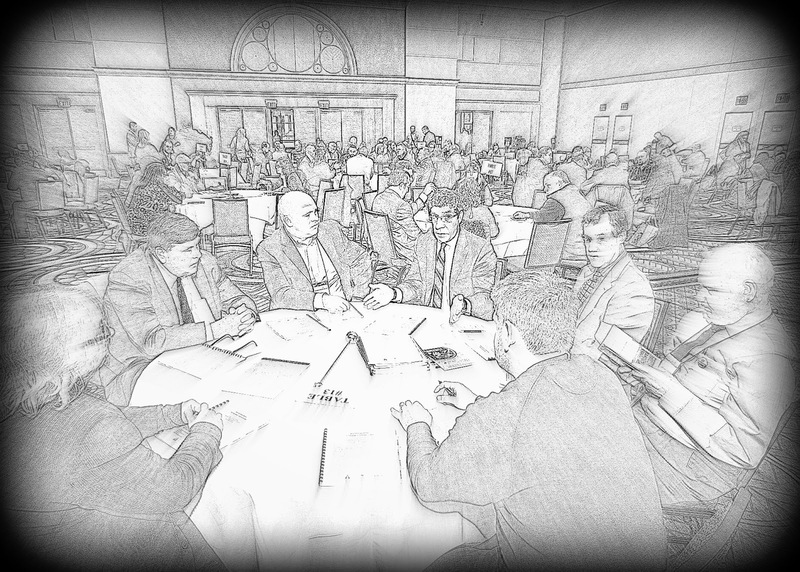 Breakout sessions included a wide range of topics relating to curriculum, equity, new superintendents, ESSA and the changes it has wrought, student readiness, trauma-sensitivity, and school safety. IASB Executive Director Tom Bertrand, the immediate past president of IASA, noted during the closing session that the energy at the conference and the tone of the conversations improves when funding issues no longer supersede all others. Also in the finale, Tony Smith, Illinois superintendent of education, spoke on hope, noting “We know more now than we’ve ever known about what kids need. There’s a ton of research on hope. Do not stop kids from hope. Also in the final session, former UCLA softball coach, NCAA champion and motivational speaker Sue Enquist offered advice on dealing with regrets, challenging your inner voice, and accepting the obligation to think, speak, and act in a positive manner. The IASA Annual Conference returns to Springfield in September 2019. 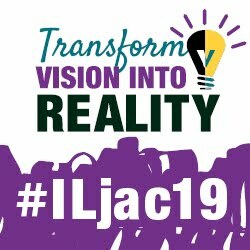 An Online Conference Planner is now available for those looking to attend the 2018 Joint Annual Conference, Nov. 16-18, in Chicago. By creating an online planner, participants can view all events and create a personalized agenda to carry with them at Conference on their mobile device. The online schedule planner is available on the Conference webpage and lists events by date, type, or category. Note: Visitors need to create an account with the third party website there, called Sched, to use the planner. To create the account, click on the Sign Up link under the gray Schedule box on this Sched website and follow screen prompts to fill in the blanks for sign up. The Online Planner and personal Conference schedule can be printed and synced to mobile devices for instant, offline access to the schedule of events. Once the account is created, the Online Conference Planner allows the user to view events by date, type or category. Individual events in each category are listed in chronological order by title and description. Listed at the right of each event is the location by hotel, time, and room name. Multiple events may be chosen for each time slot. over a one-hour and 30-minute time period at the Carousel. A 30th panel discussion and an event sponsor were recently announced for this year’s Carousel of Panels on Saturday, Nov. 17 at the IASB, IASA, and Illinois ASBO Joint Annual Conference. In addition to the panels previously listed, presenters from Eastern Illinois University and the Consortium for Educational Change will discuss The Reality of Rising: Supporting the Success of Diverse Leaders. Thus a total of 30 presentations will be offered, all to be presented simultaneously in one room over a one-hour and 30-minute period. This means school board members, superintendents, and other Conference attendees can choose to participate in three different panels of 30 minutes each at the event. The Carousel of Panels will be presented from 1:45 to 3:15 p.m. in Sheraton 4 & 5, Ballroom Level IV, at the Sheraton Grand Hotel. Beyond adding one more panel, IASB event organizers also can now boast of an event sponsor for the Carousel, thanks to the law firm of Hauser, Izzo, Petrarca, Gleason & Stillman, LLC. 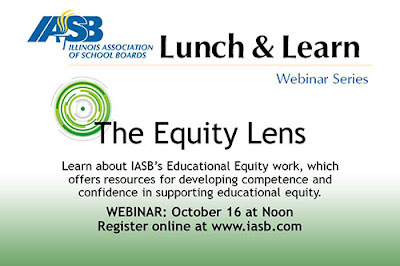 21st Century Climate Resiliency Solutions for K-12 Schools — Champaign CUSD 4 and Perkins+Will, Inc.
Legal Layoffs: Following the Law While Improving Education — Miller, Tracy, Braun, Funk & Miller, Ltd.
Next up in IASB's series of webinars is an exploration of the Association’s work in the area of educational equity. This work opened last spring with the Equity Event, continues with the formation of an Equity Committee, and will advance in the future building on current work. The committee will provide members with the resources necessary to develop competence and confidence in supporting educational equity within school districts. Members of the Equity Committee will present the webinar, entitled “The Equity Lens,” led by IASB Executive Director Thomas E. Bertrand, Ph.D., and Field Services Director and Equity Director Patrick Rice, Ph.D. This webinar will begin at noon on October 16. Registration is free for members and available by visiting the IASB website and selecting the blue Online Learning tab at the top of the page. The IASB Lunch and Learn webinar series has proved successful since its launch, with nearly 1,000 school officials taking advantage of the professional development opportunities. An archived version of the webinar will become available 24 to 48 hours after each live event. 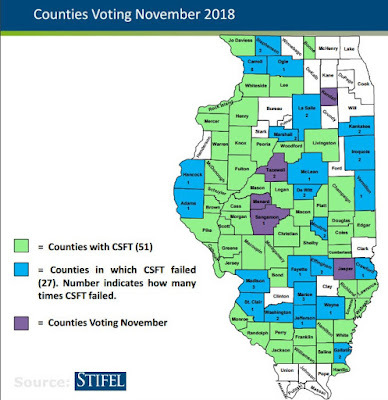 In addition to several local school district finance referendums on the November 6, 2018 ballot, countywide sales tax propositions to benefit schools are scheduled in five counties: Jasper, Kendall, Menard, Sangamon, and Tazewell. A sales tax of up to 1 percent earmarked for school facilities is sought under the authorizing state law that took effect in January 2008. To date 51 counties have adopted such a sales tax to benefit schools, according to Stifel Financial Corporation, a financial services company headquartered in St. Louis. Revenue from countywide sales taxes for school facilities benefits all school districts in a county where such questions win voter approval. Such a sales tax, when adopted, does not impose any tax on goods or services that are not already subject to sales taxes. Goods and services that are not subject to the additional tax include cars, trucks, ATVs, boats and RVs; mobile homes, unprepared food, drugs, and farm equipment and parts. IASB will report on this blog the results of all the November 6 school referendums. Results of school finance referenda since 1989 are available online by clicking here. The Illinois State Board of Education (ISBE) will host three public budget hearings throughout the state during October and November. The public is invited to attend and submit budget recommendations for pre-K through 12th grade funding requests. Individuals who want to submit comments should fill out a budget request form and email it to isbeFY20@isbe.net. 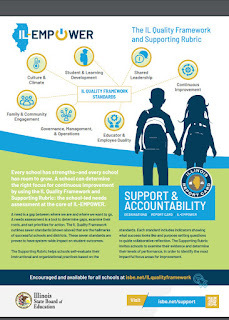 Hearings are scheduled in Springfield on October 17 at 11 a.m., Mount Vernon on October 24 at 4 p.m., and in Chicago on November 16 at 11 a.m.
With the new rollout of the support and accountability metrics that will be incorporated into the 2018 Illinois Report Card, ISBE is offering a number of resources to help districts prepare for the changes. Included in the materials listed on their website are research-based goals, indicators to measure success, and the “5 W’s” of the Illinois Report Card. A timeline of events is also provided, along with informative webinars, and meetings. 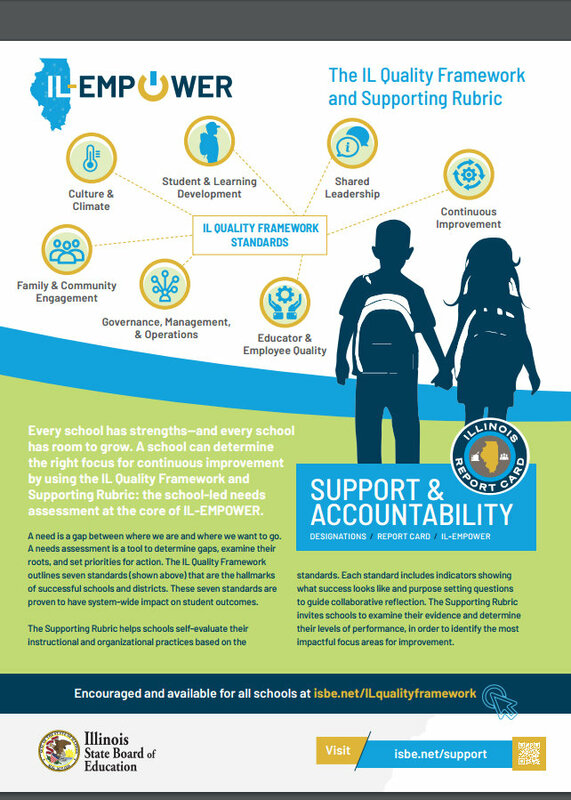 More importantly the new report cards are expected to reveal how well schools are meeting student needs and prompting student growth, and to give users an opportunity to share success stories attributable to the numbers. They will display, as well, how far removed each district is from adequate funding as defined in the new Evidence-Based Funding Model. To get email updates and materials from ISBE before the release of the updated information, click here. Districts can access two new tools to assist with Evidence-Based Funding calculations. The Adequacy Target Gap Analysis tool will allow districts to compare their Adequacy Target and staffing levels to highlight where gaps may exist and assist with staffing decisions. The Evidence-Based Funding Data Impact Calculator lets districts adjust enrollment figures and EAV to see how the variable changes impact funding distribution. The Illinois Terrorism Task Force (ITTF) has made available to school districts a video regarding student mental health and school safety. So much has been discussed about strengthening security to school buildings and grounds – a very important issue – but there has been less conversation about increasing school safety in a preventative manner and focusing on school/student culture, climate, communication, and mental health. This presentation highlights effective programs in select school districts to address these issues. School districts are encouraged to use this video to share with students, staff, and the community at large. This a product of the ITTF based on discussions over the past seven months of the ITTF School Safety Working Group. The working group issued best practices recommendations earlier this year and continues to meet to update these. The Alliance is an active participant of the IFFT School Safety Working Group. The recommendations and other important school safety programs can be found on the IASB website. The video link will take you to an eight-minute video highlighting a couple of programs designed to provide in-school mental health assistance to students. During the course of discussions among the members of the Illinois Terrorism Task Force’s School Safety Working Group, it became apparent that both mental health professionals and school resource officers are critical parts of the school safety equation. The mental health professionals we heard from all agreed that providing those services in the school setting was the best approach because it not only eliminates the logistical issues that often prevent students from receiving the help they may need, but also can destigmatize students getting that assistance. The program at Proviso East High School involves a partnership with Loyola University Chicago’s School of Nursing, while the program in the Metro East counties of Madison and St. Clair is a public-private partnership with Chestnut Health Systems. In both cases, the programs are offered at no charge to the school districts involved and utilize individual insurance and/or state Medicare to make the services free to the families of the children receiving the services. The contact information for those involved in running these programs is included at the end of the video, and these individuals have expressed a willingness to answer any questions you might have regarding how to operate the programs. This video is not intended to promote any individual service provider, but rather is intended to provide information about some ways programs like these can be implemented in school districts. Many communities in rural areas throughout Illinois may finally get high-speed internet with help from nearly $100 million in new federal grants, with many schools indirectly benefiting from the build out. 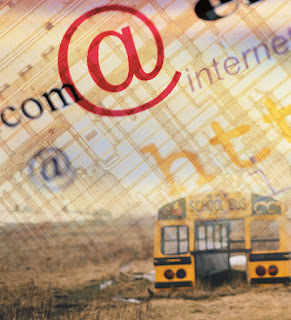 The Federal Communications Commission recently awarded the funding for internet service in rural areas in Illinois. The money, to be spent over the next 10 years, derives from a fund created from fees found on phone and internet bills. Nine companies won bids totaling $100 million over a 10-year period to serve about 32,000 locations in the state. The funding is expected to bring high-speed internet to homes and businesses in hard-to-reach areas. A map of the winning projects can be found here. The largest grant went to Wisper ISP, a Mascoutah-based firm that will get $35 million to connect nearly 9,000 new homes and businesses in southern Illinois. The grants were awarded through a reverse auction process in which they bid to provide broadband with fiber, DSL, or other technology in a specific region of the state. The winning bid was the lowest price offered by a provider. The buildouts over the next 10 years will offer new customers high-speed internet through various technologies, including broadband, satellite, fiber optics, and dedicated service lines (DSL). People in rural areas have been underserved because it costs so much to build the infrastructure to serve those communities. While the Federal Communications Commission says that 10 percent of Americans had no access to broadband in 2016, that number was nearly 40 percent in rural areas. Experts said broadband becomes more expensive as it strains to reach distant and sparsely populated areas. It just takes more cable, utility poles or even cell towers to carry all those ones and zeros longer distances. Yet the costs are split between fewer people than in cities or suburbs. That’s where the Universal Service Fund charge on most phone bills comes in. It was set up to subsidize phone service for the poor and for high-cost locales, usually rural areas. Now some of that money also goes toward internet service. For example, those taxes support the federal E-Rate program to subsidize internet costs for schools and libraries. Beginning in 2013, another portion was diverted into the Connect America Fund to be spent on information infrastructure in places where it was lacking. Although the winning companies receiving these new Connect America Fund grants have 10 years to complete the projects, under terms of the grants the firms must bring service to at least 40 percent of the new customers within three years.